Shami picked 3/19, while Kuldeep picked 4/39. 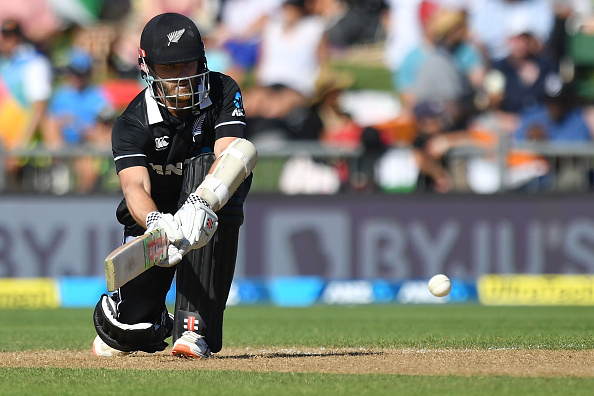 The first ODI of the five-match series between New Zealand and India is being played in Napier. 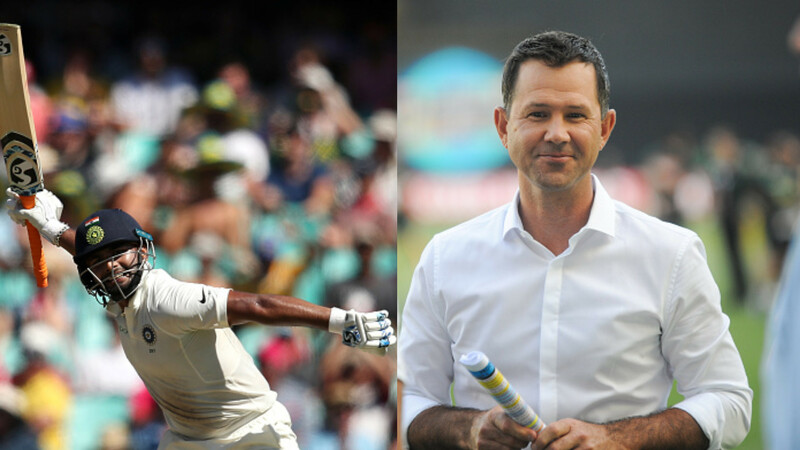 India is coming off a Test and ODI series win over Australia; while New Zealand defeated Sri Lanka in their limited overs’ tryst. Kane Williamson won the toss and chose to bat first. For India, Ambati Rayudu replaced Dinesh Karthik in the team. However, the day belonged to Indian bowlers in Mohammad Shami, Yuzvendra Chahal, and Kuldeep Yadav, who wreaked havoc on the Kiwis. Shami removed both the openers, Guptill and Munro for single-digit scores. Williamson and Taylor tried to build a small partnership, but then Chahal accounted for Taylor (24) and Latham (11) and the wickets continued to fall. Jadhav removed Nicholls. Kuldeep was the pick of the Indian bowlers with wickets of Bracewell, Williamson (64), Ferguson and Boult. Williamson was the only saving grace for the hosts, as they were bundled out for 157 in 38 overs. 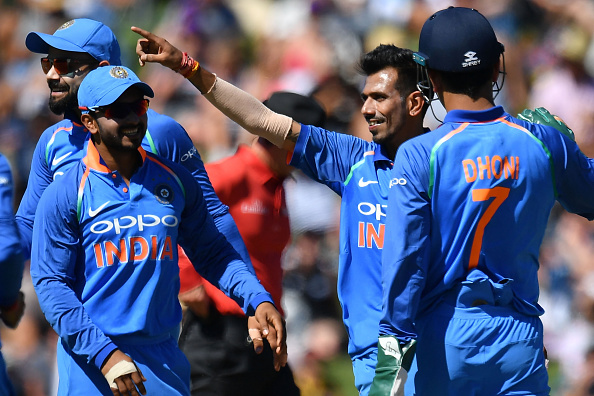 Kuldeep picked 4/39, Chahal picked 2/43, Shami got 3/19 in 6 overs and Jadhav chipped in with one wicket. 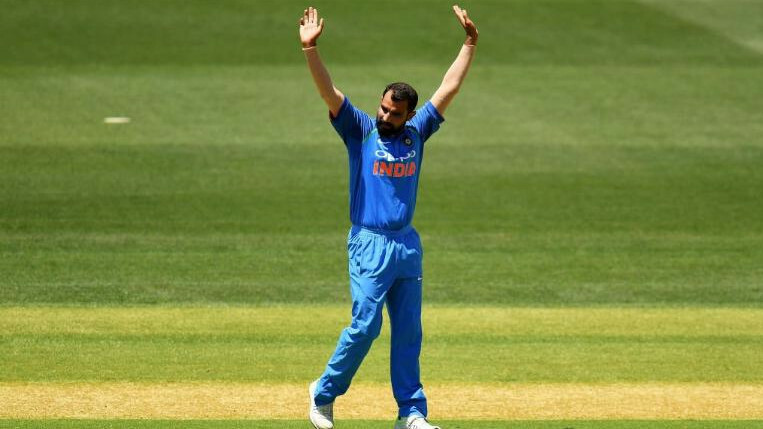 Mohammad Shami became the fastest Indian bowler to reach 100 ODI wickets in just 56 matches. 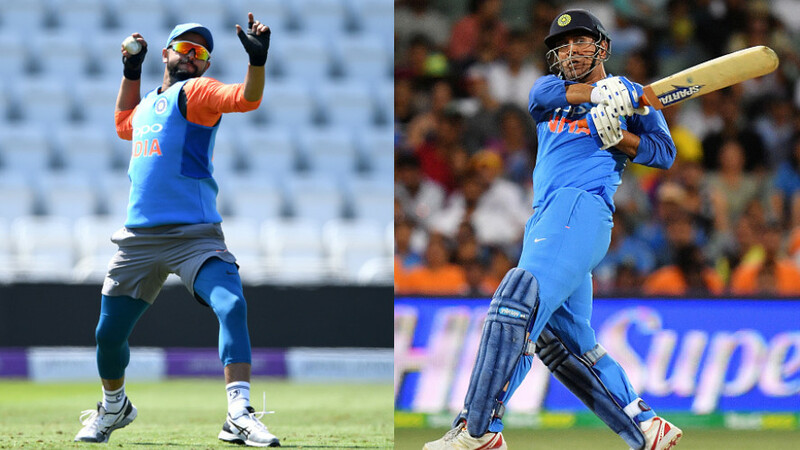 India came out to bat in the remaining time before lunch and scored 41/0 in 9 overs with Rohit Sharma unbeaten on 11 and Dhawan unbeaten on 29, during which he also completed 5,000 ODI runs for India, in 118 innings, the second fastest behind Virat Kohli (114 innings). Cricket fraternity hailed the Indian bowling efforts, especially that of Mohammad Shami and Kuldeep Yadav. Indn bowlers continue to be on roll..Kiwis cave in tamely..ANZEC adventure is Happy Hunting..! !